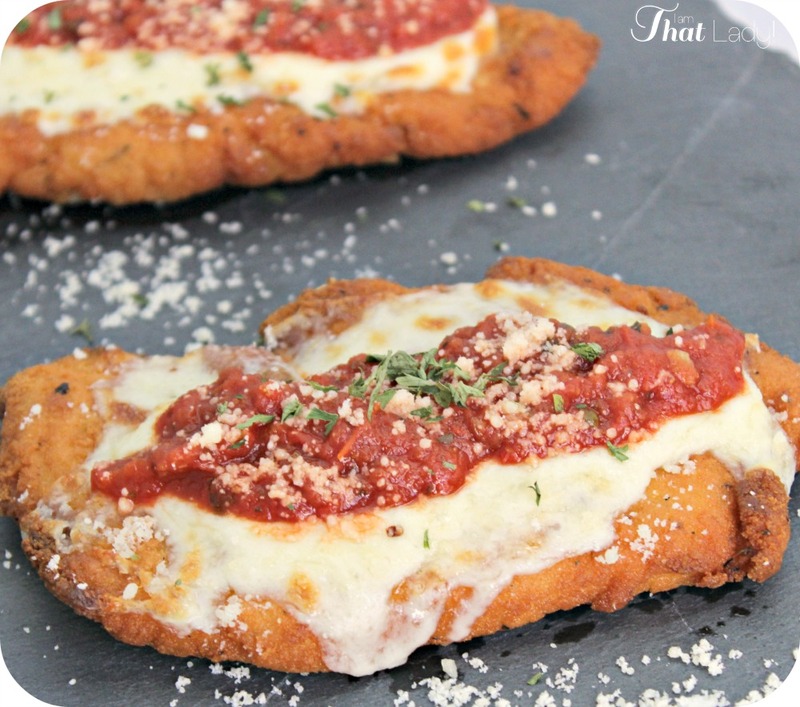 Are you looking for the BEST recipe for chicken parmesan? This recipe is better than any one I've had at a restaurant and with my homemade Italian Spaghetti Sauce it brings it out of this world! In a plastic freezer bag, or under a sheet of plastic wrap, pound chicken breasts to 3/8" to 1/2"
Drench the chicken in flour, shaking off the excess. Dip the chicken in the beaten egg and cover completely. In a dish with the breadcrumbs mixed with 1 tsp kosher salt, coat all sides of the chicken. Heat peanut oil in a pan; hot but not smoking. Place chicken in the pan and cook for 5 minutes, flipping once halfway through. Place chicken on a cookie sheet and top with mozzarella cheese. Place in broiler and cook until cheese is bubbly. Spoon sauce over chicken, garnish with parmesan cheese and parsley.